In Pete Alonso‘s first two at-bats of Spring Training, he hit a home run and a double. It seemed those two hits were the beginning of something special, and regardless of service time, Alonso was going to force his way onto the Opening Day roster. After that double, Alonso cooled off a bit at the plate. He would go three for his next 12. With him not hitting tape measure shots, Dominic Smith would begin to grab some headlines. Through his first seven games, Smith was actually out-hitting Alonso going 8-for-16 with a big three run homer. Mets Manager Mickey Callaway spoke glowingly about Smith. There were articles written about how Smith has turned the corner, and some were suggesting Smith had a real chance to win the Mets first base job. In the game, Alonso was 2-for-3 with a double, homer, and an RBI. As noted by MMO‘s Michael Mayer, Alonso’s OPS is now 1.356 putting him not too far ahead of Smith’s 1.256. Put another way, there is little separation between the two. The reason is both players spent all offseason preparing to give themselves the best possible chance of winning the Mets first base job. As a fan, this is fun to watch. Alonso starts off with big power numbers, and Smith responds with great defense and a .500 batting average. Alonso then hits another tape measure shot while Smith maintains his .500 Spring batting average. This is exactly what everyone wants to see. They want this to be a difficult decision, not just for Spring Training but for the future. This is not too dissimilar from 2014 when the Mets had to choose between Ike Davis and Lucas Duda. The Mets decision there may not have been popular, but it proved to be the correct one. That decision would play a role in the Mets going to the World Series. 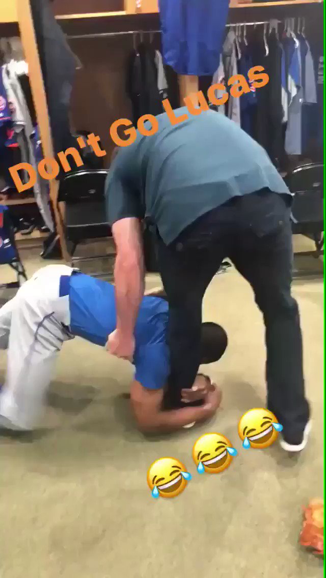 As Mets fans, we can only hope the same thing happens with this team. As the Mets take the field today against the Oakland Athletics, they will play their last home game before the trade deadline. With the Mets looking to sell, this will likely be the final home game for many of the Mets players. If so, it has been a fun ride. 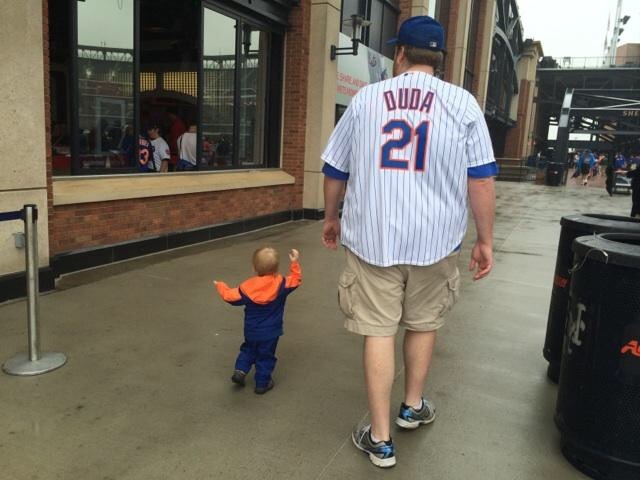 Lucas Duda – Duda has had an interesting Mets career. He was the right fielder for the Johan Santana no-hitter. He won the first base job from Ike Davis. He become a power bat in the middle of a Mets lineup that went to the World Series. He is a grand slam in the NL East clincher. He hit a three run homer in the NLCS clincher. He made a bad throw allowing Eric Hosmer to score. Overall, he has been an underrated Met, who became one of the team’s rare power threats at the position. Curtis Granderson – Granderson has been the consummate professional, and he was the first major free agent to come to the Mets in the Sandy Alderson Era. He kept the Mets afloat in the 2015 season as the team dropped like flies around him. All three homers in the World Series gave the Mets a lead. He had a great September last year leading the Mets charge to the Wild Card. He accepted a bench role this season. He has been a great Met and an even better man doing more for the community than perhaps any Mets player we have ever seen. Asdrubal Cabrera – It was his hot hitting bat that helped the Mets get the top Wild Card. After years of poor shortstop play, he was a steadying force. Things have not gone as well this year, but he is now doing all he can do to help the team. Addison Reed – Reed was a shot in the dark when the Mets grabbed him before the waiver trade deadline in 2015. From there, Reed became the Mets best reliever, and perhaps the best reliever in baseball over that timeframe. He went from 7th inning reliever to a pennant winner to a dominant 8th inning guy last year to a lights out closer this year. He is the biggest trade chip, and he’s most likely going to be the first player gone. When he goes, he will leave behind a spot in the bullpen that will be near impossible to fill. Jay Bruce – It is a testament to Bruce that he is having a career year this year after playing some of his worst baseball when he first put on a Mets uniform last year. He’s on pace for his first ever 40 home run season, and he has given the Mets a reason to consider trying to bring him back. Jerry Blevins – The lanky Blevins is perhaps the least likely player to be traded of all that are on trading block due to his team option. If he goes, out the door goes the player who has made more appearances out of the bullpen than anyone this year. With him would go a terrific LOOGY out of the pen who pitched his best baseball in a Mets uniform. There are other players we do not reasonably anticipate to go, which makes watching today all the more important. For any of the aforementioned players as well as some other players like Wilmer Flores, this will be the last time they will wear the home jerseys at Citi Field. Each one of these players have given us reason to cheer. Hopefully, they get an extra big cheer today.